If you heard the sweet sounds of a steam whistle echoing across the hills in Cumberland, Maryland last Wednesday, it wasn’t a dream. It was the deep melodious voice of Western Maryland Scenic Railroad’s newest steam locomotive coming to life across the Potomac River in Ridgeley, West Virginia. 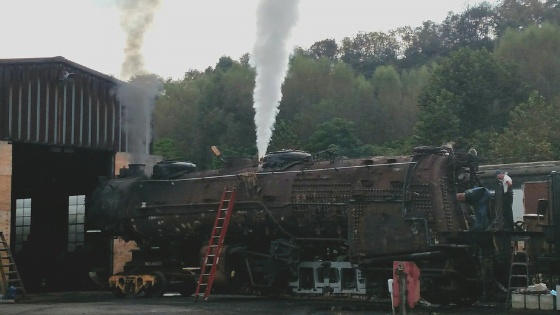 Diversified Rail Services conducted a static steam test of the 2-6-6-2 #1309 at the scenic railroad’s shops in Ridgeley. #1309 will be the largest compound-articulated steam locomotive in service in the world when her overhaul is complete. On Wednesday, October 3rd following an over 3-year effort Diversified Rail Services slowly brought the boiler up to an operating pressure of 210psi for the first time since 1957. The steam test allowed DRS to verify the boiler’s integrity and capability. There were “no leaks” in the locomotive boiler. DRS will continue reassembling the thousands of components that make up a steam locomotive. The engine, when complete, will have over a mile of lubrication lines installed, a modern 26-air brake system, new boiler jacket & cab, and many other new parts, which will ensure easier maintenance. 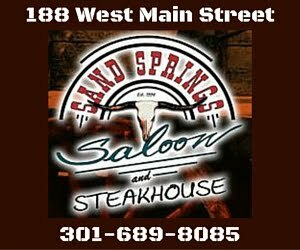 The Western Maryland Scenic Railroad will carry over 30,000 passengers in 2018 and is looking forward to placing the #1309 into service sometime in 2019. Steam locomotives excite the senses, creating sites, smells, and sounds that are unlike the average diesel locomotive traveling through downtown Cumberland every day. Railroad passengers and aficionados from all over the globe have been eagerly awaiting the completion of #1309 since her arrival at the Western Maryland Scenic 2015. The railroad has been without their iconic “Mountain Thunder” #734 since she was taken out-of-service pending a regulatory 15-year inspection and overhaul of the boiler and machinery.